Phillip Wang graduated from the University of California Los Angeles with a degree in History and Education. After graduation, he was active in sales and became a sales manager for a national insurance company. 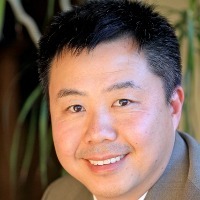 Phil Wang has been in the real estate business for nearly 18 years. He started as an investor and has been involved in nearly every aspect of real estate including short sales and REOs. He started acquiring and rehabbing single-family homes and multi-family properties and later shifted into residential and commercial development. Through his extensive experience, Phil has acquired a broad knowledge of real estate from the acquisition and disposition of real estate holdings ranging from single-family homes to commercial land development. Phil’s vast experience is integral to the identification of profitable real estate opportunities not apparent to the average investor and establishing win-win relationships with third parties critical to the successful completion of complex endeavors. It doesn't matter if you are a first time buyer or a seasoned professional investor, Phil will tirelessly and diligently put forth his knowledge and energy into delivering what is best for you. His skill set also includes rehabilitation, remodeling, development, commercial, apartments and property management. Phillip is backed by Intero Real Estate Services, with over 30 offices in the San Francisco Bay Area and an International presence in London, Hong Kong, and Mexico. Intero has grown to #1 in Market Share in the past few years. He enjoys sharing his experience with his clients and colleagues and together forming the best possible solution to the challenge at hand. He is a San Francisco Bay Area native who graduated from UCLA and a veteran of the Iraqi War.